Oracle Primavera is closely aligned with Prescience’s belief in the discipline of great project delivery. Primavera’s P6 Enterprise Project Portfolio Management solution helps organisations complete projects on-time and within budget by enabling them to prioritise, plan, manage and evaluate projects and programs. Oracle Primavera P6 provides a 100% web-based, solution for managing projects of any size, adapts to varying levels of complexity across projects and intelligently scales to meet the needs of all roles, functions, or skill levels in your organization and on your project team. 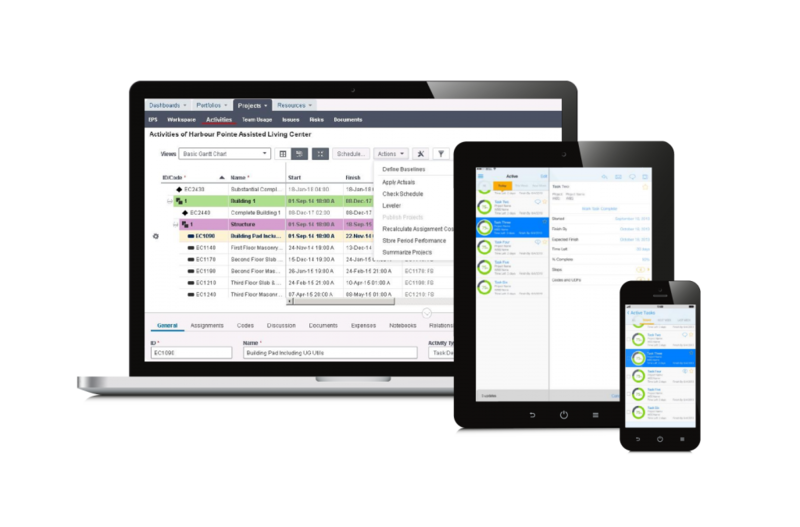 The Primavera suite of products work together to allow companies to manage budgeting, planning and scheduling, cost management, resource allocation, risk analytics and even your change management activities, providing real-time reporting through flexible, web-based interfaces. 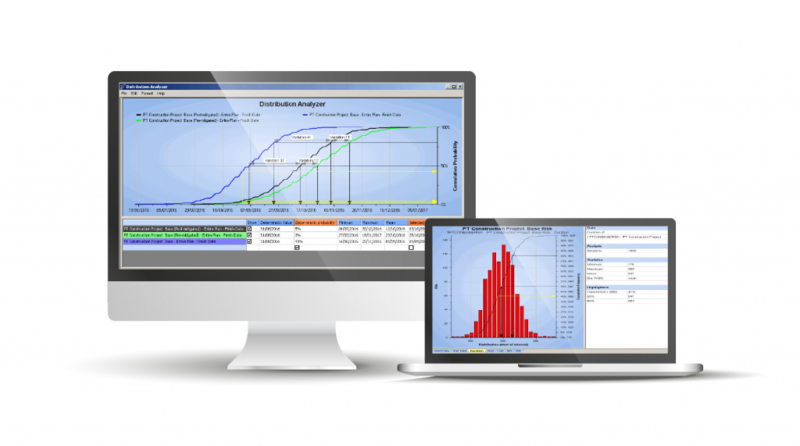 Get insight into project information with configurable dashboards that display real time KPIs to give early warning of problems or issues. Mobile interfaces provide a quick, convenient and easy way for all team members to report on project status. Primavera P6 EPPM is an integrated project portfolio management application that includes role-based functionality to match each team member’s needs and responsibilities. 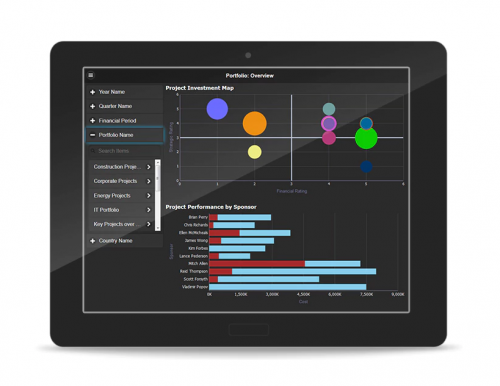 It provides executives with a real-time view of their organisation’s project performance, equips project participants with the right blend of usability, power and flexibility to effectively execute projects, and enables workers across all levels of an organisation to analyse, record and communicate reliable information and make timely decisions. Primavera P6 EPPM can easily scale from a single user on a small project to tens of thousands of users engaged in millions of activities across hundreds of projects both on premise and in the cloud. The solution is built on a robust architecture and is designed to deliver high performance with tight security, flexible integration and real-time reporting and analytics. Primavera Unifier provides a best-in-class cloud-based solution for managing capital projects and facilities of any size in every vertical market. It combines rich cost management and control, document management, schedule and resource management, fund management, and more. Prescience Technology was the first organisation in Australia to implement Primavera Unifier, for one of the largest infrastructure projects in Australian history, and we continue to lead the pack today. For our efforts, Oracle awarded Prescience Technology the No. 1 Primavera Cloud Partner in JAPAC. 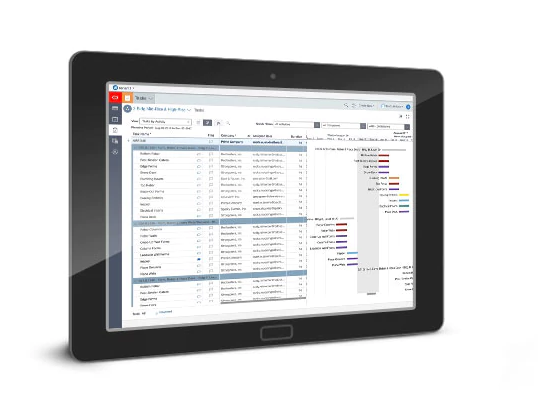 Oracle Primavera Unifier is a web-based Project Controls Management Solution. Its defining quality is its ability to optimise business processes by creating visibility in the management of all communications and information. It is particularly useful for organisations looking to combine scheduling with contract management. Manage complex cost breakdown structures and business rules, with either hard-stop or advisory enforcement and Track baseline budgets, actual costs, and manage forecasts either manually or automatically. Manage all contract types (lump sum, T&M, cost plus, others) at virtually unlimited level of detail. Manage schedule activities with fully configurable metadata at the activity and resource level. Maintain latest basis of design documents with revision control and manage design reviews across all disciplines with rich commenting capabilities. Full-featured document management capabilities embedded within the cost control system and revision control, check in / out, commenting, and full audit logs of all activities. Primavera Unifier offers an extensible interface platform based on XML Web services to fully support interfacing with other systems. The interface provides the ability of Primavera Unifier to communicate with virtually any existing system. As a result, information, business processes, workflows, budgets, internal transactions, user data—any information you want to exchange—can be imported to, or exported from, Primavera Unifier via industry-standard Web services. 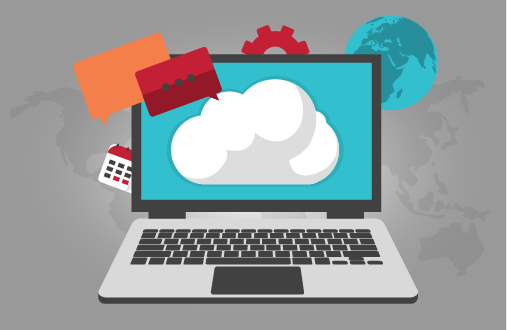 Oracle Prime Projects Cloud Service is a complete, cloud-first project management platform that enables team collaboration and real-time visibility across the project lifecycle. By integrating the management of project portfolios, schedules, tasks, resources, costs, field teams, documents, and risk into a single platform, Oracle Prime delivers complete project success. Project managers and stakeholders can make the right decisions based on built-in analysis, dashboards and reporting tools. Enterprise social collaboration and mobile capabilities let project teams communicate effectively and manage project planning, execution and monitoring processes efficiently from start to finish. Oracle Prime is a cloud-based enterprise solution which allows you to prioritise, plan, manage, and execute projects, programs, and portfolios on a global scale. It is a ‘one stop’ solution that integrates risk management, cost control and scheduling in a single product. Create multiple portfolios to analyse projects and proposals and analyse project portfolio activity, status, and customer success metrics. Address simple and complex business needs with configurable forms and workflow processes and improve coordination between project members with a flexible collaboration system. Prime is a pure cloud application, which enhances your team-wide accessibility and delivers significant IT infrastructure savings. Deliver scope, schedule, and cost capabilities and integrate resource, risk, and document management under a single platform. Access project data on the go and improve collaboration with built-in notifications and discussion capabilities. Primavera Analytics is a packaged BI solution that provides valuable insights into your Primavera P6 EPPM and Primavera Unifier project portfolio performance so you can uncover trends, discover the root cause of issues, and ensure your stakeholders have clear visibility into schedules and costs. Primavera Analytics, allowing you to reap the benefits of proven methods of enhanced resource analysis, variance analysis, earned value management, and cost and schedule performance. Primavera Analytics is an enterprise-wide business intelligence portal that benefits everyone in your organization by providing transparency into project portfolio performance and a single-source of the truth. 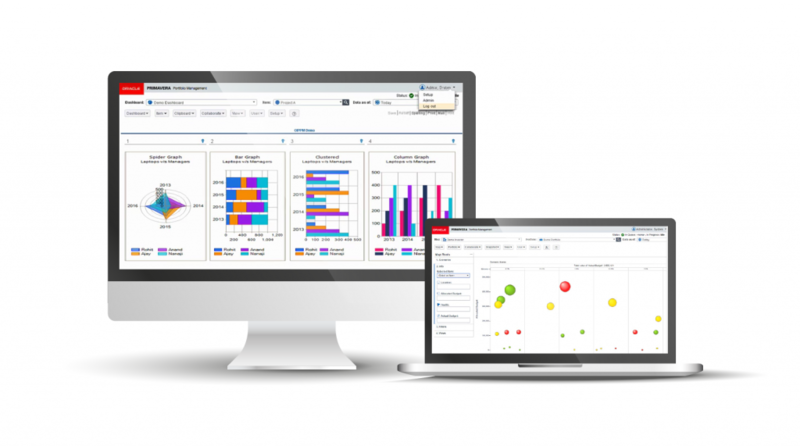 With Primavera Analytics, you can leverage the power and flexibility of the Oracle Business Intelligence platform to add your own reports, scorecards and KPIs to the solution beyond the pre-configured set of dashboards you receive. 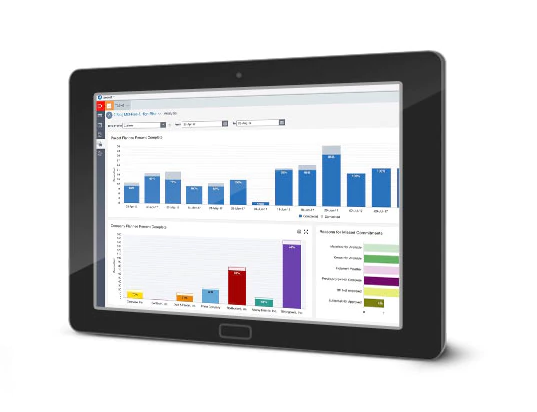 You have full control to modify the default dashboards and can build your own reports. Primavera Risk Analysis is a full lifecycle risk analytics solution, integrating cost and schedule risk management. Primavera Risk Analysis provides a comprehensive means of determining confidence levels for project success. 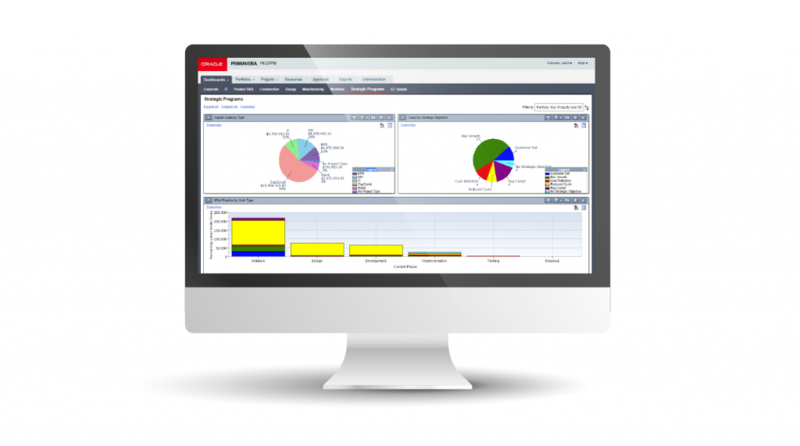 Oracle Primavera Portfolio Management (OPPM) enables companies to effectively manage their project portfolio. Using a simple web interface, it simply – and visually – defines processes to identify, prioritise, select and optimise investments of any kind. It also helps in building the business case to support decision making by collating data from many sources into a single, intuitive and easy-to-use portal. But most importantly, it lets decision makers understand the value being returned to the business by these investments, which makes it easier to optimise the right strategic initiatives. In today’s volatile market environment when initiatives need to be pulled or altered, this increases organisational agility, providing complete and accurate data dynamically, rather than best-guess scenarios to support strategic decision-making. OPPM is especially valuable in asset-intensive process industries, such as Resources, Mining, Oil and Gas, and Utilities. Executives faced with aging infrastructure, constrained capital markets and a more challenging regulatory environment need to be able to confidently balance their investments to manage these competing priorities and adjust priorities as required. It is equally valuable to the IT function, enabling data-driven decision making to prioritise investments and ensure the optimum mix of investments, as well as providing visibility into project progress and results. This real-time data enables IT executives to control the impact of changes, standardise processes and optimise resources. This enables the IT function to respond to changing demands of the business. 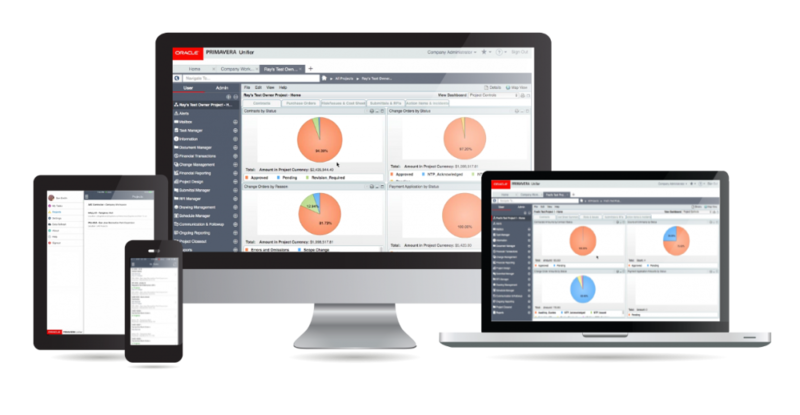 Learn more about the Oracle Primavera suite, and why leaders and executive stakeholders across all industries rely on Primavera solutions to improve strategy execution, operations, and financial performance. Find out more about the Oracle Primavera product suite, our Primavera services and past work. Learn how you can make the most of your Primavera system with our catalogue of useful Tips & Tricks. Which Planning App Is Right For Me? Download our infographic to find out which of Oracle’s suite of planning applications is right for you. Our Learning Bites are micro video tutorials covering some of the most useful aspects of P6. Insights, best practices and solutions to some of the most common Primavera P6 questions. See how Primavera P6 EPPM provides a true enterprise role-based solution for managing projects of any size.